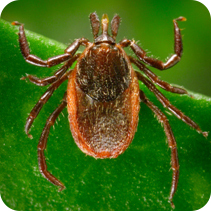 Spring, Summer, and Fall are TICK season! Valdes Islanders are already discovering deer ticks on their persons and pets. The warm mild temperatures of spring are bringing these critters out, so please remember to check yourselves, and your pets, and have a friend check you too! Here's some handy information, also available from WorkSafeBC. ​Ticks are tiny bugs, which are related to mites, spiders and scorpions. Ticks feed on the blood of animals and require blood meals at certain times in their development cycle. 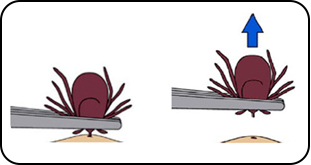 Feeding can last from hours to days depending on the type of tick. Use tweezers or forceps to gently get hold of the tick as close to the skin as possible. Don't touch the tick with your hands. Wear light coloured clothing, tuck your top into your pants, and tuck your pants into your boots or socks. Use insect repellent that contains 20-30 percent DEET. Take a shower as soon as you can after working outdoors. Look for ticks on your body. 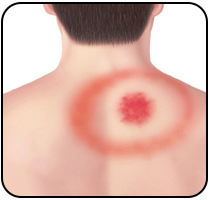 Ticks are often found on the legs, thighs, back, arms, underarms, groin, behind the ears, and above the hairline. What should I do if a tick bites me? The most important thing is to make sure that you remove all of the tick, including the mouth parts that are buried in your skin. Also, do not squeeze the body of the tick when you are removing it. This can force its stomach contents into the wound and increase the chance of infection. Tick-borne infections are more effectively treated if diagnosed early in the course of illness.